A big patch that took 2 hours to analyze has been released by EA! As most of you know by now, every update not only brings new content but also changes to many other aspects of the game. From prices to appearance, task lengths to requirements, any part of the game is subject to change and many changes affect every player. Follow us right after the jump for the list of all of the changes. Runway Corner now correctly flips once rotated. Marge’s Lead a Tour job at Sugarloaf Mountain is now premium. The bug preventing Tailgate-gate to be completed was fixed. 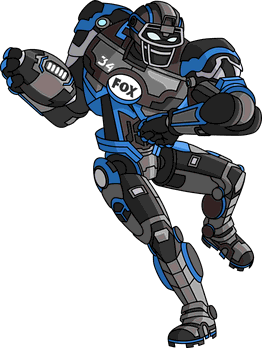 Cleatus was added to the Characters inventory group. In Of Rice and Yen Pt. 6, Kumiko’s dialogue is now said by Female Japanese Tourist. 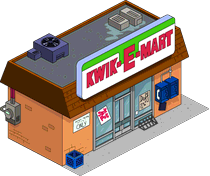 Platinum Scratcher questline now taps on Kwik-E-Mart automatically once done read. In Sparkled Away Pt. 2 and 5, some dialogue box’s character icon positions were corrected. Donuts can now only be bought after doing the tutorial. 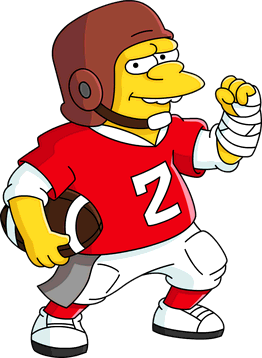 Football Nelson quest’s Bully Homer, Chuckle to Himself, Run Into the Fence, Trip Over the Ball, Yell Angrily and Eavesdrop on Kids can now be done at Football Field or Brown House too. Lisa’s Trip Over the Ball is now done by Lisa instead of Soccer Lisa. Homer’s Eavesdrop on Kids is now done by Homer instead of Referee Homer. In River Run and Chasing Shauna Pt. 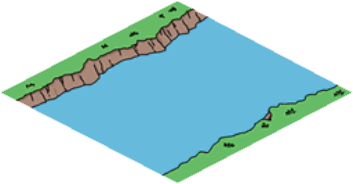 1, now the store focuses on River after tapping to do the task Place Rivers and Have a River. 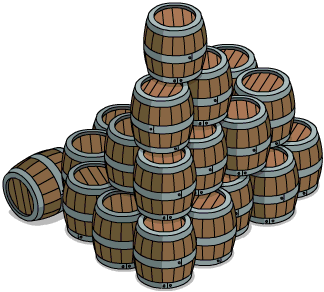 Placing Wooden Barrels (big) now yields 30 XP. A new message when obtaining Free Land Token was added if the user doesn’t have land available: “Free Land Tokens can be used when new land becomes available to acquire for Springfield money.”. The number of Pins a friend has in the friend towns screen now appears correctly. Marge’s job Lead a Tour’s name was added. Tiago’s job Teach the Lambada’s name was added. Americatown’s was changed from “Serving Up the Authentic American Dream.” to “Serving Up the Authentic American Dream”. Barra’s was changed from “Mixing Caipirinhas.” to “Mixing Caipirinhas”. Bastille’s “Housing Unamed Criminals for Unknown Crimes.” was changed to “Housing Unamed Criminals for Unknown Crimes”. Chateau Maison’s was changed from “Blending Wine With Artisan Anti-Freeze.” to “Blending Wine With Artisan Anti-Freeze”. Churrascarias’ “Catering to Carnivores.” was changed to “Catering to Carnivores”. Eiffel Tower’s was changed from “Conducting Another Wedding.” to “Conducting Another Wedding”. Filthy Angels Orphanage’s was changed from “Processing Donations and Loot.” to “Processing Donations and Loot”. Himeji Castle’s “Stocking the Gift Shop With Dull Katanas.” was changed to “Stocking the Gift Shop With Dull Katanas”. Le Krusty Burger’s “Messing Up Orders in French.” was changed to “Messing Up Orders in French”. Homer’s “Make a Garage of Mess” was changed to “Make a Mess of the Garage”. Motherloving Sugar Co.’s “Turning Wholesome Trash Into Nutritious sweetener.” was changed to “Turning Wholesome Trash Into Nutritious sweetener”. Paris Hotel’s “Hiding On the Table Drom la Souris” was changed to “Hiding On the Table From la Souris”. Ned’s “Pose As a Geisha” was changed to “Pose as a Geisha”. Rio Days-Inn-Ero’s “Foot Juggling the Guests’ Luggage.” was changed to “Foot Juggling the Guests’ Luggage”. Royal Tokyo’s “Updating Toilet Firmware.” was changed to “Updating Toilet Firmware”. 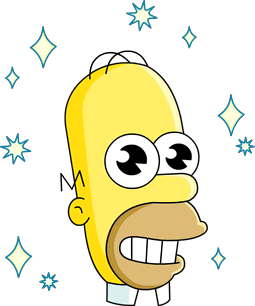 Samba School’s “Scandelously heating up Springfield” was changed to “Scandelously Heating Up Springfield”. Springfield Airport’s “Scanning Baggage for Embarrassing Items.” was changed to “Scanning Baggage for Embarrassing Items”. Sumo Stadium’s “Purifying the Ring With Salt.” was changed to “Purifying the Ring With Salt”. Tree Steakhouse’s “Serving Steaks With a Side of Twigs and Berries.” was changed to “Serving Steaks With a Side of Twigs and Berries”. In Flabtastic Creatures Pt. 4, Sakatumi’s “And now, the winning Haiku.” was changed to “And now, the winning haiku.”. In Fuji’s Peak Pt. 1, Quimby’s “I hereby commemorate the opening of Springfield’s very own replica Mt. Fuji.” was changed to “I hereby commemorate the opening of Springfield’s very own replica Mount Fuji.”. In Low Expectations Pt. 2, the task “Make Bart Move into the Orphanage” was changed to “Make Bart Move Into the Orphanage”. In Of Rice and Yen Pt. 4, Lisa’s “Maybe we should add a few to make our “JapanWorld” more authentic.” was changed to “Maybe we should add a few to make our JapanWorld more authentic.”. In Sparkled Away Pt. 1, Marge’s “He’s talking in the language all moms understand… cleaningl” was changed to “He’s talking in the language all moms understand… cleaning!”. In Sparkled Away Pt. 4, Homer’s “He’s just made himself the most dangerous enemy of all: a hungry fat man.” was changed to “He’s just made himself the most dangerous enemy of all: a hungry, fat man.”. In Sparkled Away Pt. 5, the task “Make Homer Make a Garage of Mess” was changed to “Make Homer Make a Mess of his Garage”, and Homer’s “No, I was just mentioning my favourite brand of ramen noodles.” was changed to “No, I was just mentioning my favorite brand of ramen noodles.”. In The Noise From Brazil Pt. 1, Quimby’s “To attract tourists who want excitement and energy, I have conferred with my most wise and trusted and advisor.” was changed to “To attract tourists who want excitement and energy, I have conferred with my most wise and trusted advisor.”. In The Noise From Brazil Pt. 3, Lisa’s “Actually, the Brazilian Carnival is a Christian religious celebration.” was changed to “Actually, the Brazilian Carnaval is a Christian religious celebration.”, and Ned’s “That’s worse than Carnival being nothing!” was changed to “That’s worse than Carnaval being nothing!”. In Who Wants to Be a Brazilianaire? Pt. 4, Lisa’s “It said Springfield business owners are paying tourists to write good reviews for tripbuttinski.” was changed to “It said Springfield business owners are paying tourists to write good reviews for TripButtinski.”. Hi I accidentally stored ugolin and he disappeared and isn’t in my inventory… Cesar is still in my town but the quest has also disappeared from the side bar… any ideas? Where is the problem? Do you all (Sugarloaf Mountain’ owners) have that job for Marge? The price of buying donughts has gone up a lot too! Golden scratcher now 99 pence instead of 79 pence. A big increase on bundles as well. When was that sneaked in? EA really focus’ on the important things. Grammar correction is of course more important than fixing this stupid bug when the game downloads all the updates again. And yes, I followed all the advice to free memory (around 5GB) and reinstalled the game. I’ve had little luck with the Valentine’s box. I really wanted Brandine because she helps with recycling. I’ve managed to spend all of my donuts from KEMing and still haven’t gotten her yet. I’m down to her and Up Up and Buffet. I think I’ll earn enough donuts to get one more shot. Wish me luck on this 50/50. You don’t have to use the token to buy land, you also can use it to buy sEA. How many items were there? There were 4 items. I think Shauna, maybe the evil baby sitter lady, a house and also the hungry hun. Did you open the menu slide the event menu and check? Hey. Feel stupid. I was in the icon in the slide menu that is a star with an “!” in the middle. Weird though. That’s a lot of shifts in punctuation. Good eye! When is the Valentine stuff supposed to hit? 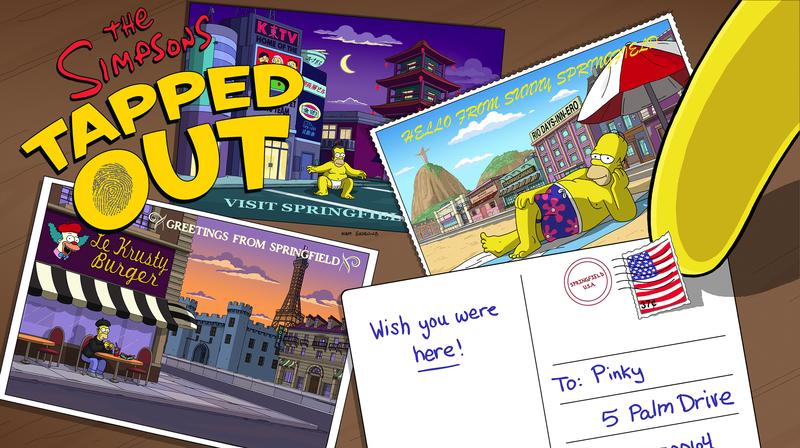 Next Destination Springfield and Valentine’s 2017: Valentine’s starts with New and returning items in the store!